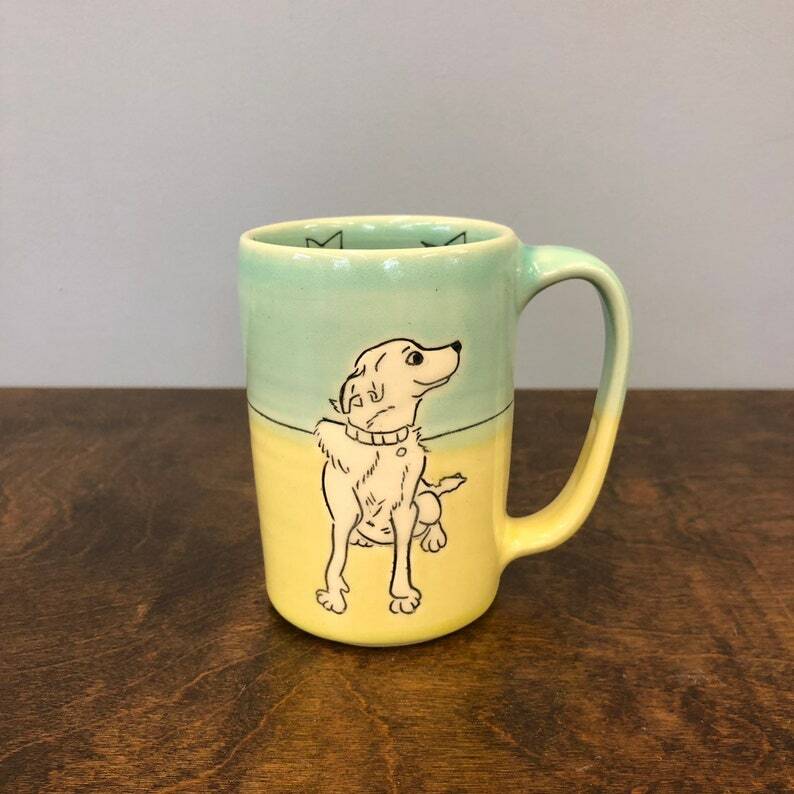 Handmade Mug with dog. All from my original artwork. Glazed in a combo of Aqua (interior) and Aqua/Lime(exterior) with both dogs in Clear glaze. Drawing of leaves on the lip.